The Darjeeling Hillton DJ1 “SFTGFOP1 clonal” that I chose ten days ago has arrived at Roissy airport. It’s one of the very first Darjeelings harvested this year, and this batch of just 95 kilos is worth trying. 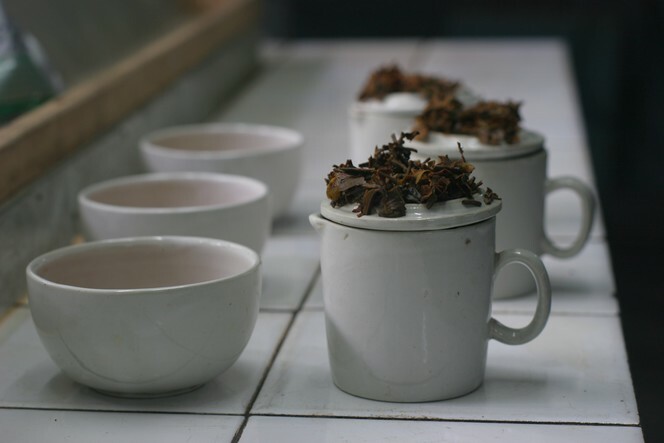 In the cup, it develops subtle floral notes amidst vegetal aromas of cut grass, raw vegetables and stems. A bouquet of fresh almond, vanilla and yellow fruit accompanies a delightful finish in the mouth, with vegetal, camphor, fresh and vanilla notes. Every year, in mid-April, my attention turns to China. 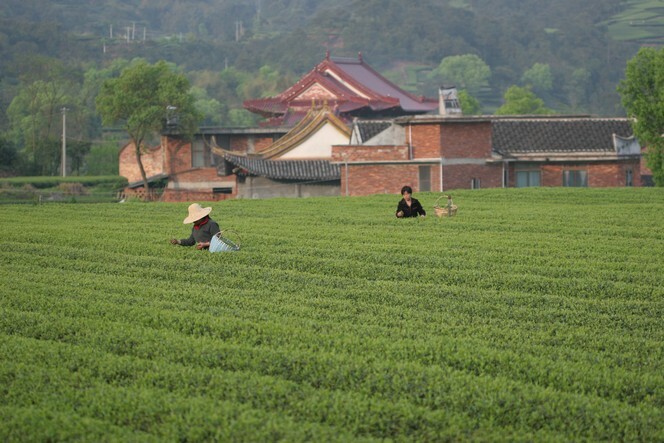 This is the time when production starts of the magnificent China green teas such as Long Jing, Bi Luo Chun and Bai Mao Hou. Right now I’m not far from Suzhou, on the shores of Lake Taihu. 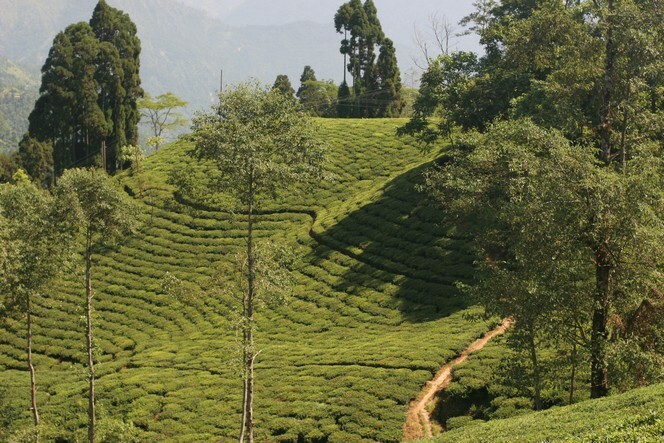 Every day I do my best to sleep in the middle of the tea fields. And this is the kind of view I get when I wake up. 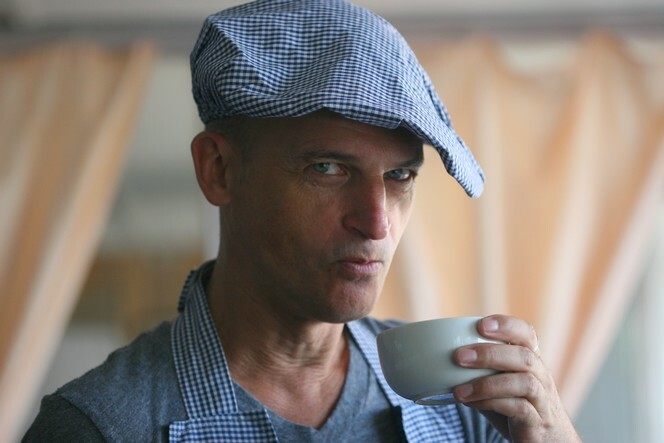 For the past two days samples of tea have been delivered in large numbers at my tasting room. As soon as they arrive I taste the contents of the little bags on which are marked the name of the garden, the lot number, the grade and the quantity of tea produced. This is it! 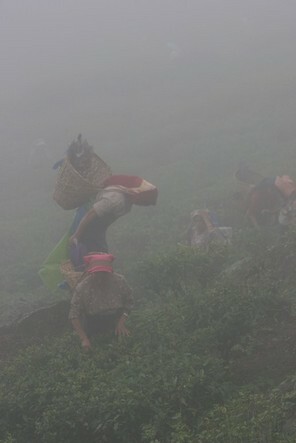 In Darjeeling, the season is now properly underway. 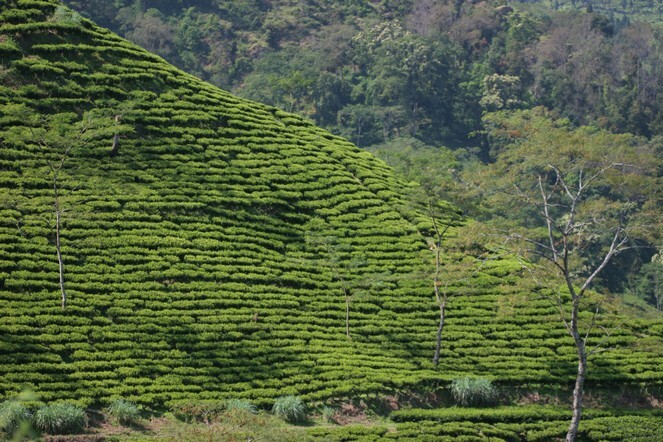 Because of the cold and then the lack of rain, the tea plants are growing very slowly in Darjeeling. As of mid-March, only a few lots have been produced, and it will be a while before there’s a good selection available. I have bought three lots so far though: a very small amount from Teesta Valley, which I’ve already talked about; the first plucking from Mission Hill, which develops a lovely length in the mouth, and lastly, the Hillton DJ1 with its aromas of cut grass and raw vegetables, which has an incredible intensity. If there’s a group of teas that is particularly sensitive to the infusion time, it’s the Darjeelings. Thirty seconds too long and your tea will be bitter due to excessive astringency. 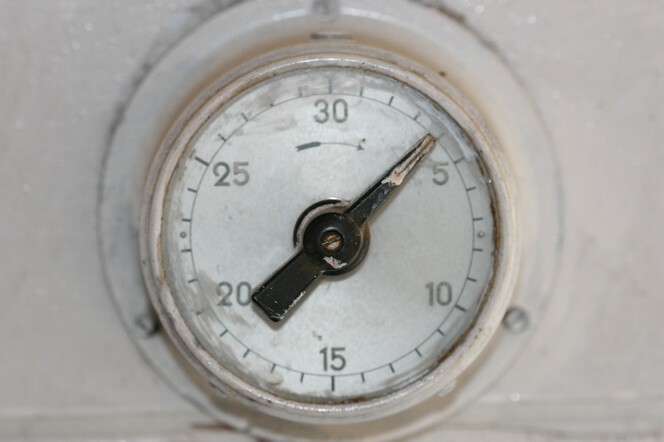 First flush Darjeelings must be infused correctly: the water should be around 85 degrees and the infusion time should be between 3’30 and 3’45 maximum. With Darjeelings, the flavour and aroma balance is very delicate, so to appreciate them fully, you’d be wise to heed this friendly advice. While you’re waiting for your tea to infuse, you can follow my example and have fun taking a picture of the timer. This rather rustic one reigns in the tasting room on the Barnesbeg Tea Estate (India). I’ve just received the first samples of the Darjeeling spring teas, or “first flush”. 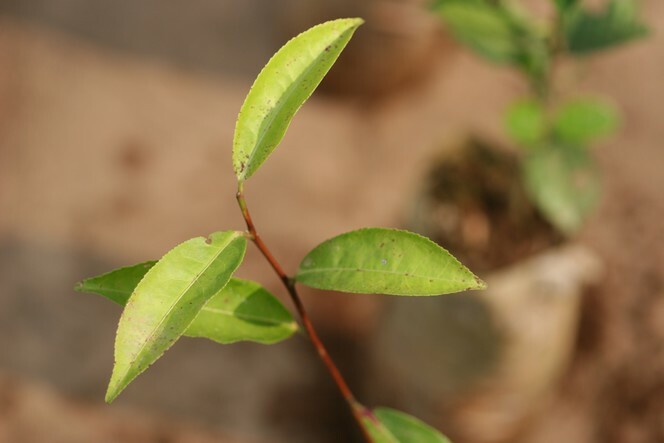 The buds on the plants are very small, and the shoots are still a little slow due to the generally cool winter. The temperature is still too low to allow an abundant crop. Nonetheless, certain planters have produced some wonderful teas. 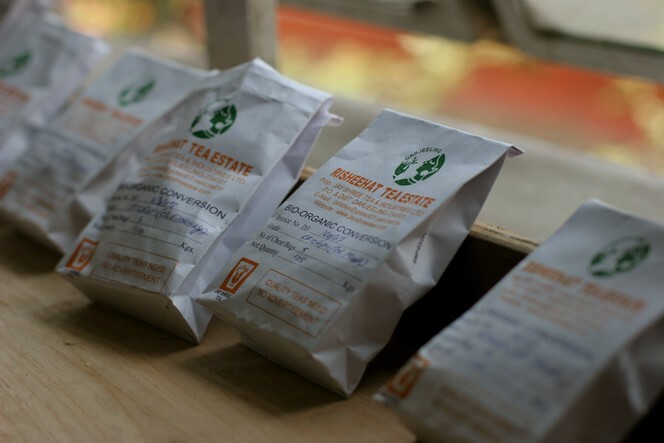 I’ve just bought the first tea of the year – a very small lot of just 15kg – from the Teesta Valley Tea Estate. This is a lovely plucking, with leaves just lightly rolled, giving a fresh infusion that is both vegetal and fruity, and a supple liquor with pronounced vegetal and almond notes. A pure delight. 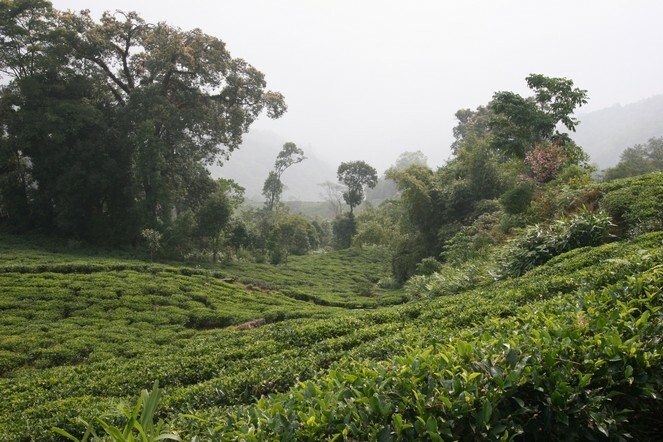 To accompany your tea tasting, here is a view of the Teesta Valley Estate itself. It offers the same roundness and sweetness as well as the famous vegetal note… It’s as if the landscape itself was reflected in our cups.